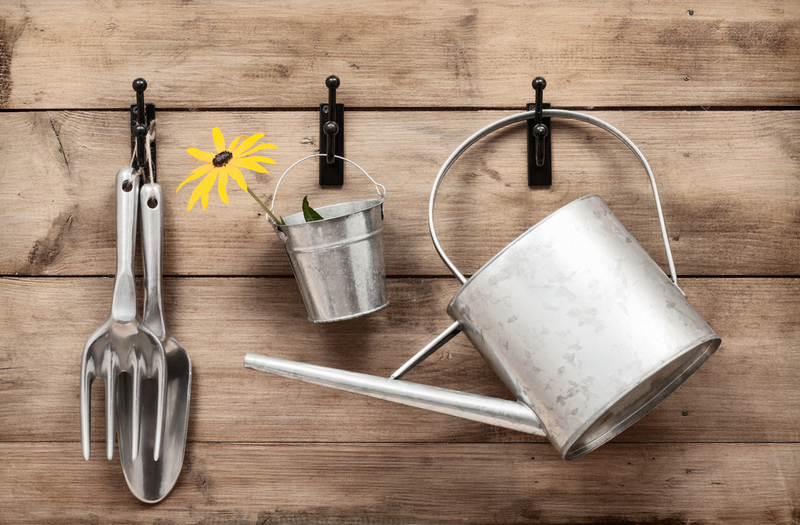 You are in need of reliable garden tools near Isle of Wight if you have a garden there. Garden owners in small towns have a problem of access when it comes to getting their hands on reliable gardening tools and equipment made by trusted manufacturers. The right tools are required to perform the many exercises in the hobby the right way, and whenever a garden owner in Isle of Wight brings up this problem, we delightfully invite them to visit our nursery and see how versatile our inventory of gardening tools is. We stock many types of spades with a variety of blade shapes and sizes. They come in wooden as well as aluminium shafts and are used for digging the grounds, making the plot ready for the next planting season, and carrying soil and other materials across the garden. Another couple of necessary garden tools we have are the backhoe and the rake. They may look similar to a layman but a gardener knows the two are used to achieve different aims. While one hoes the soil to get the weeds out of it, the other rakes fallen leaves and other debris out of the bedding and lawn. The health of your soil depends a lot on the nutrition it receives. The amount and quality of water and fertiliser and compost you provide to your soil will determine how healthy the soil becomes, which is how you can ever hope to have a good looking garden filled with healthy plants. To facilitate these important tasks, our display of garden tools near Isle of Wight has a number of watering cans and spreaders available in various sizes. Once you have your plants, bushes, and trees growing fast and strong, you have to keep them looking pretty, which is only possible with management of their reach. We have a tonne of gardening tools that can help you with that problem, namely secateurs, shears, and saws that come in varying sizes and capacity. With Thompson’s Plants so close, garden owners in Isle of Wight do not have a problem with getting the perfect gardening tools for their hobby anymore. We stock a variety of tools to help our gardener customers with their needs, but we also make sure our stock comes from brands seasoned British gardeners have trusted for years. The garden tools near Isle of Wight that we market in our garden centre often come with a minimum of a ten-year guarantee, even though the tools often last much longer. In short, buying your garden tools from Thompson’s Plants, you are buying a promise of quality. With so many tools in our inventory, customers - particularly starting out gardeners - sometimes get confused about what they should get and what they should leave for the next trip to the store. This is where our sales staff can immensely help even before you buy anything from us. Tell the staff the purpose of your shopping garden tools and they will tell you exactly what to get. Visit us soon to get reliable garden tools near Isle of Wight!